The role of nutrition in the prevention and management of mental illness has only very recently become widely appreciated with evidence quickly accumulating to support a crucial role of nutritional medicine in mental health care. This represents an important paradigm shift beyond the modest success of traditional pharmacological treatments. Research suggests that diet is an important modifiable risk factor for mental health and the first clinical trials of dietary interventions for mood, cognitive and behavioural disorders have recently been published. Food supplement-based interventions that address deficiencies or are used as monotherapies or pharmacological augmentation therapies are also becoming established. Mechanisms that underlie the nutrition-related pathophysiology of mental illness, including inflammation, oxidative stress, neuroplasticity, and the gut microbiome, are under investigation with translational science beginning to realize functional medicine-based assessments and personalised nutritional and lifestyle medicine interventions into clinical practice. “Nutritional Psychiatry: Rethinking the Role of Food, Nutrients, & Microbes in Mental Health” is an important update, primer and call to action for health professionals with presentations from world-leading clinicians and research scientists in the areas of integrative psychiatry, nutritional medicine, the gut-microbiome-brain axis, and polyphenols and brain function. Listen to world renowned speakers in important topics in nutritional psychiatry research and practice. Explore diverse areas including integrative psychiatry, nutritional medicine, the gut-microbiome-brain axis, and polyphenols and brain function. Join an incredible community of health professionals passionate about the importance of nutrition for mental health. Dr. James Greenblatt is a leading expert in eating and mood disorders and a pioneer of nutritional medicine for mental health. For the last three decades, Dr. Greenblatt has devoted his career to educating clinicians and patients in the role of integrative medicine and nutrition in the treatment mental illness. Dr. Greenblatt has published several books, including recently The Breakthrough Depression Solution 2nd eds. (2016) and Nutritional Lithium: The Cinderella Story (2016). He currently serves as the Chief Medical Officer at Walden Behavioral Care in Waltham, MA and serves as an Assistant Clinical Professor of Psychiatry at Tufts University School of Medicine and Dartmouth College Geisel School of Medicine. 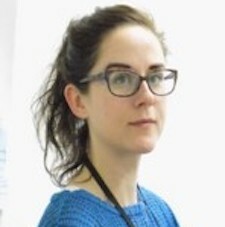 Dr Emma Wightman is a Senior Lecturer in Psychology and ‘Polyphenols’ research group leader within the Brain Performance and Nutrition Research Centre; both at Northumbria University. Emma’s PhD began investigating the cognitive and cerebral blood flow effects of the polyphenol resveratrol in humans in 2008 and, since then, Emma has supervised two PhD students who have continued this research journey with resveratrol. 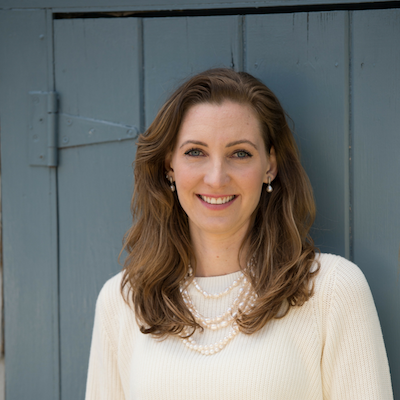 Emma also teaches biological psychology modules at undergraduate and post-graduate level, supervises project students, and is principal and co-investigator on a number of industrially funded research trials which focus of nutritional supplements and their psychophysiological effects in humans. Most recently, these trials have focused on the role of the gut-brain-axis. Miguel Toribio-Mateas is researching the impact of nutrition on the microbiome and mental health. He is specifically exploring patient-reported outcome measures related to nutritional interventions that focus on issues affecting gut and/or your brain health. Miguel is leading the Bowels and Brains™️ project at London South Bank University. Additionally, his work involves looking at the effects of fermented foods on the gut flora, and how eating/drinking fermented foods affect things like mood, memory and focus as well as overall mental health. Miguel and his team at the Bowels and Brains™️ lab is designing and running clinical trials with the aim to translate them into practical information that can help improve your brain health from the gut up. Ray Griffiths obtained his Masters in Personalised Nutrition from Middlesex University where his work focused on the role that mitochondria play in Parkinson’s disease. Ray is author of the reference text; Mitochondria in Health and Disease: Personalized Nutrition for Healthcare Practitioners (Personalized Nutrition and Lifestyle Medicine for Healthcare Practitioners). As a Registered Nutritionist and Lecturer, Ray has been researching and practicing nutrition for over 20 years and lecturing for over 10 years. Robyn Puglia is a certified Functional Medicine Practitioner and BANT registered Nutritionist. She is in full time clinical practice, specialising in complex cases, unexplained illness and autoimmune disease. She is a popular and well-regarded speaker and educator in the UK and is regularly invited to lecture at Nutrition colleges and as a guest for international summits and on podcasts, on subjects such as chronic illness, autoimmune disease, applying the functional medicine model, food as medicine and chronic viruses such as Epstein–Barr virus. Robyn has coeliac disease and is in recovery from chronic fatigue syndrome and so, like so many of us, has a deeply personal relationship with this industry and what is possible to achieve. 12.30 – 1.30pm: Gluten-free, vegetarian lunch provided. Continuing Professional Education: 9 hours CPD (BANT/ NNA/ ANP/ NTOI) applied for. Early Bird price of £199 available until 1st June 2019. Full price of £249 after 1st June 2019.